"Sullivan" by the Award Winning Summit Homes. 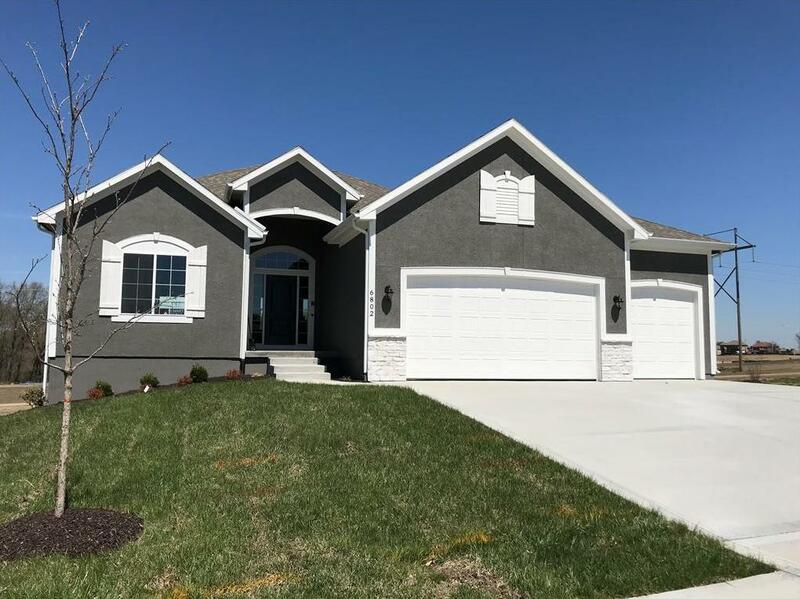 This home features a covered deck with composite decking, lower level bar, alarm system, 8' garage doors, carpeted great room, wood flooring throughout the entry, dining room and kitchen. The kitchen features granite countertops, Gas stove and Bosch appliances. The finished basement has a large rec. room and wet bar, perfect for entertaining. This home sits on a beautiful daylight lot looking out to a retention pond and trees. Private lot, with no neighbors behind! 6802 NW 104 Terrace (MLS #2117134) is a traditional single family home located in Kansas City, MO. This single family home is 2,408 sqft with 4 bedrooms and 3 baths. This property was listed on 07/08/2018 and has been priced for sale at $398,484.